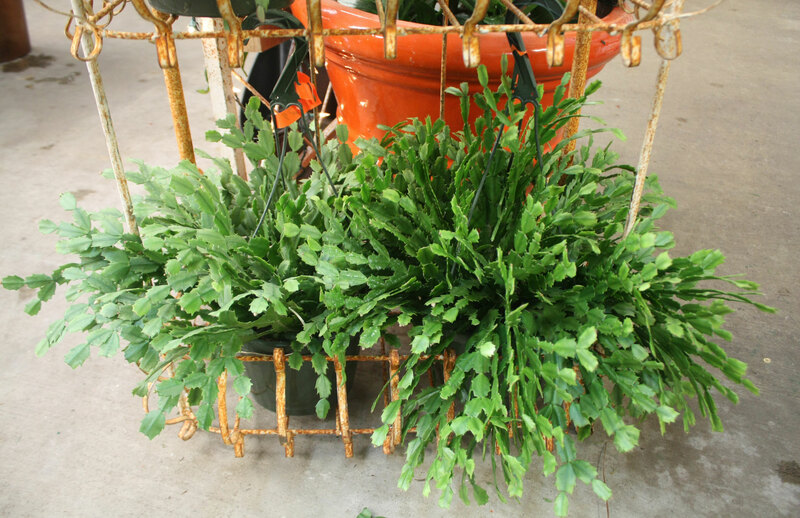 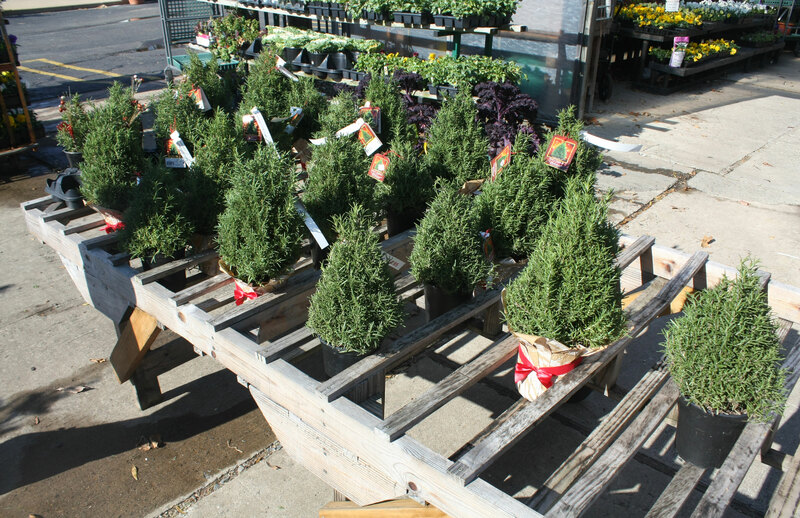 There are all kinds of seasonal plants to spread the holiday cheer both inside and outside your house! 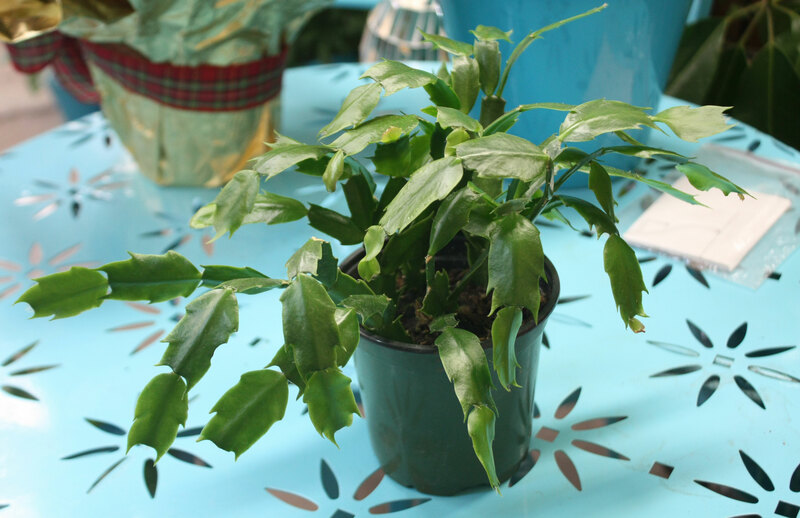 Poinsettias and Christmas Cactuses have leaves and blooms in both red and white. 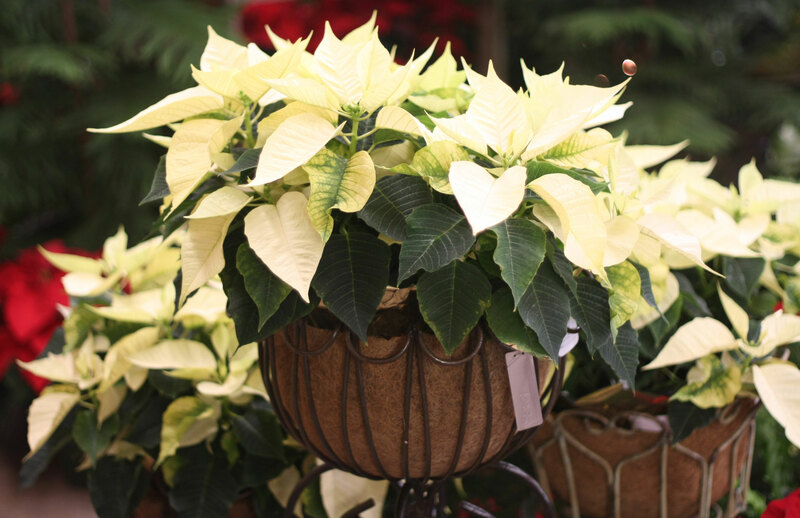 Apart from Christmas trees, poinsettias are a staple of the holiday season! 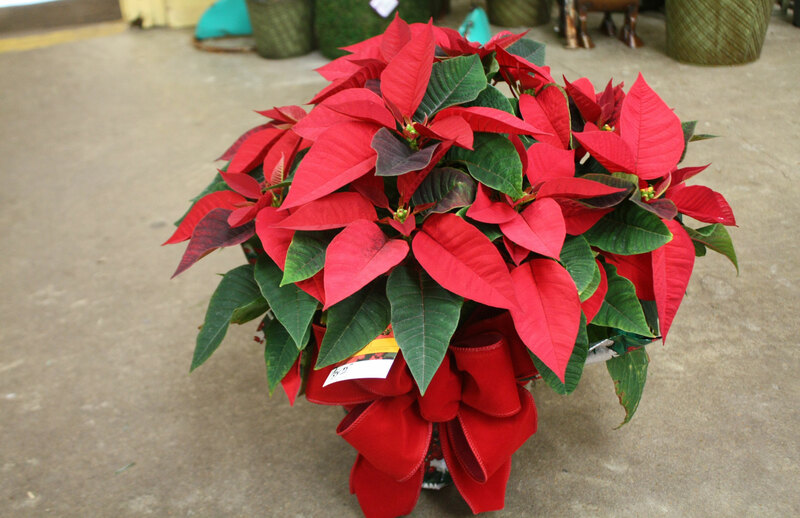 We carry red, white, and mixed colored poinsettias in a variety of sizes. 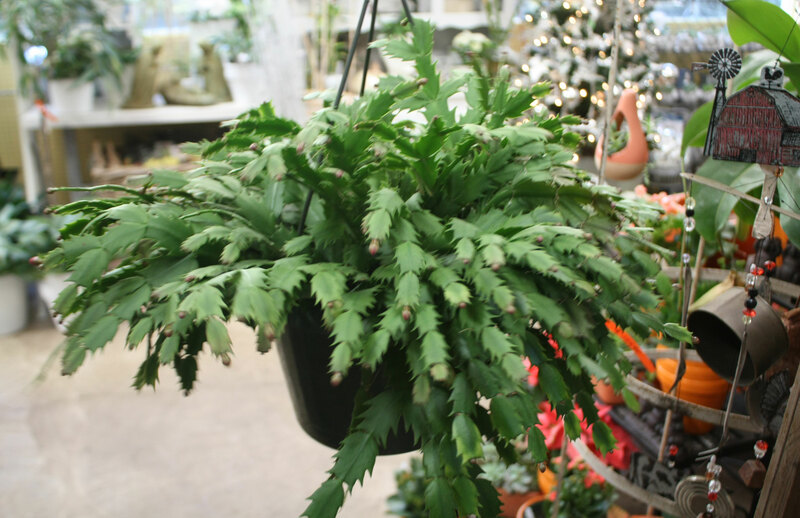 Our Christmas cacti make a beautiful addition to any room; especially when they begin blooming! 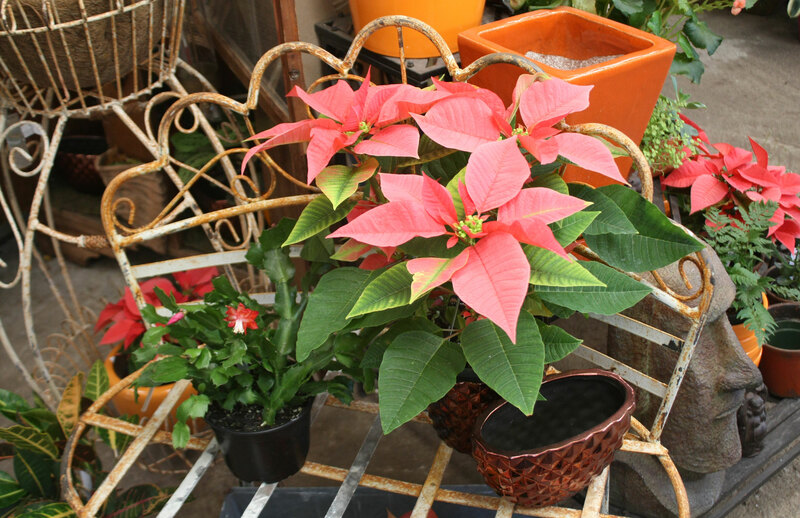 When fully blooming they display beautiful red and white flowers. 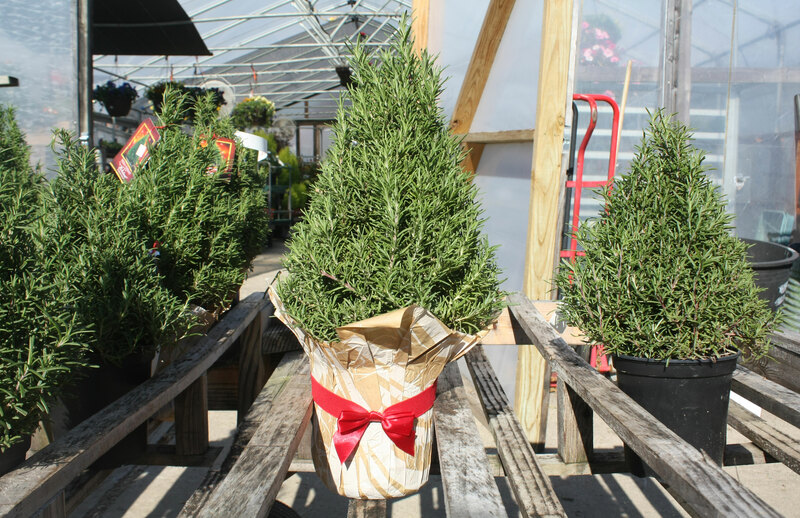 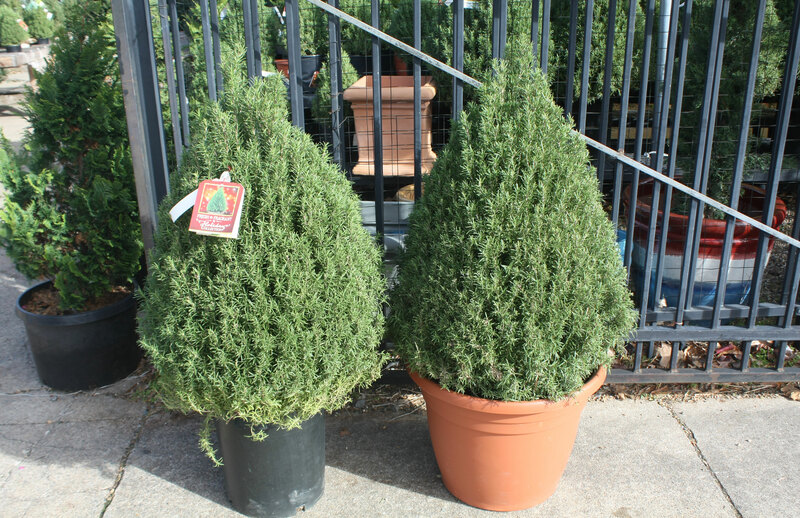 Rosemary cones smell amazing and look fantastic paired in front of your door or even in a pot of their own!